While we often complain about the long, cold Canadian climate, it is not uncommon for us to see snow fall in March and even April... or May or June in Alberta - sigh. This means we are sporting toques, trousers and too many layers to count for at least six (nine!) months of the year. So, when the temperature finally soars into the double digits, we’re ready to take full advantage of the sunshine and warmer weather. As we say goodbye to the hats that hide our unwashed hair and trade our long pants for all the short shorts and skirts, I am sure I am not the only one who enters a state of ‘hair emergency’. Do I shampoo and blow dry every day? Where did I put those extra razors? How much time am I going to need to get ready in the morning? This year, I am vowing to sleep more and shave … never! Seriously! I’m also going dry… dry shampoo that is. I am sure you’re thinking: Tell me more! Let’s start with the locks. A good hair day can make all the difference but spending time shampooing, conditioning and blow drying every morning (or even every other day) can leave you frantic and frazzled. 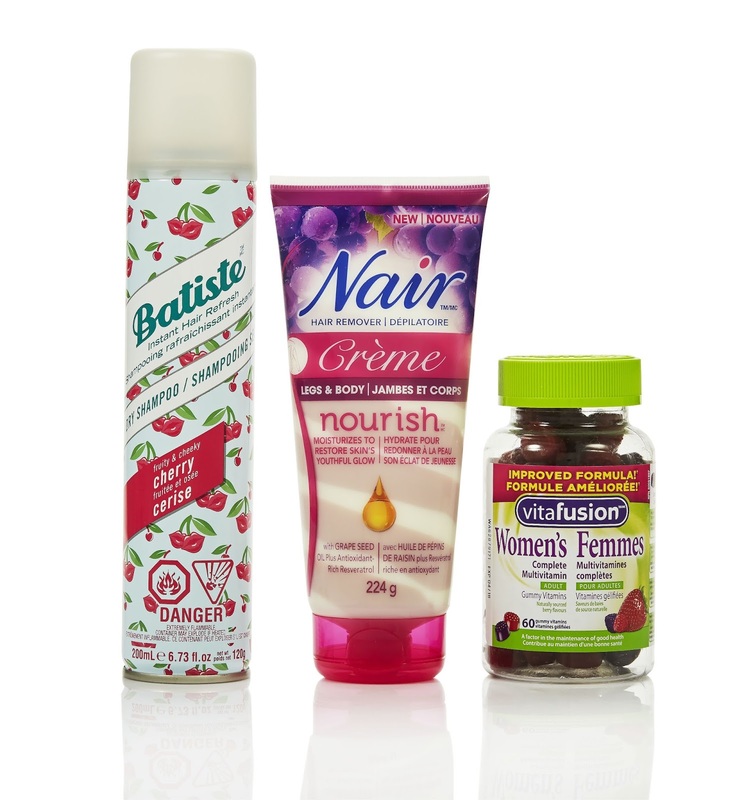 My new secret weapon for fabulous hair is Batiste Dry Shampoo. 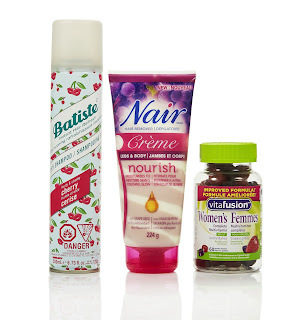 If you haven’t heard of dry shampoo, I suggest you run, not walk, to pick up a can of Batiste. It works to instantly revive oily hair, leaving it looking and smelling clean and fresh. No wet washing required and most importantly, no blow drying. Batiste comes in a variety of fragrances – New Batiste Dry Shampoo Cherry is perfect for summer with top notes of pear, melon, kiwi and wildberry! If you’ve never used dry shampoo before, don’t worry. It’s easy to use. Simply shake the can well, hold 30 cm away from your hair, section & spray into roots. Massage thoroughly with fingertips then brush and style as desired. Not only does it remove the hair in as little as three minutes (yes, three minutes), it also leaves skin moisturized with a youthful glow and with smooth skin for days longer than shaving. Did you read that? Days!!!! So... am I your hair hero or what? This summer it’s all about getting your beauty rest, looking fabulous, feeling healthy and rocking those short shorts. P.S. Between the summer heat and a jam-packed schedule, it’s easy to let healthy eating slip by the wayside. To ensure your body is getting the nutrients it needs, try adding a multivitamin to your daily health and beauty routine. A complete multivitamin such as the Vitafusion Women’s Complete Multivitamin is a great option. It’s specially formulated to meet our needs and comes in an easy-to-take, delicious gummy. It includes Biotin and helps maintain hair, skin and nail health – ensuring you glow from the inside out this summer! What are some of your favourite time-saving beauty products?